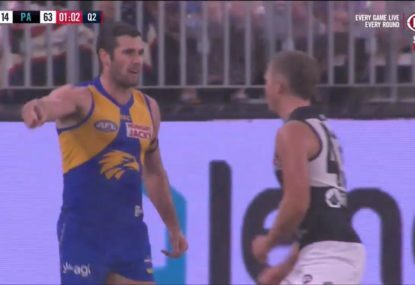 Now, its tempting to write about Andrew Gaff and everything that goes with his thuggish act on Andrew Brayshaw, but let’s aim a little wider here. The AFL is in an enviable position, reporting a net surplus of $48.8m in its latest annual report. They are printing money, with the average player wage rising to $371,000 in 2017. Crowds are on the rise, with almost 35,000 people attending each game while Richmond have been the first club in league history to top 100,000 members, be they people, pets or pot plants. Don’t let the numbers deceive you though, the league has plenty of problems. Some are easily fixed, some not so much. Let’s start with free agency compensation. 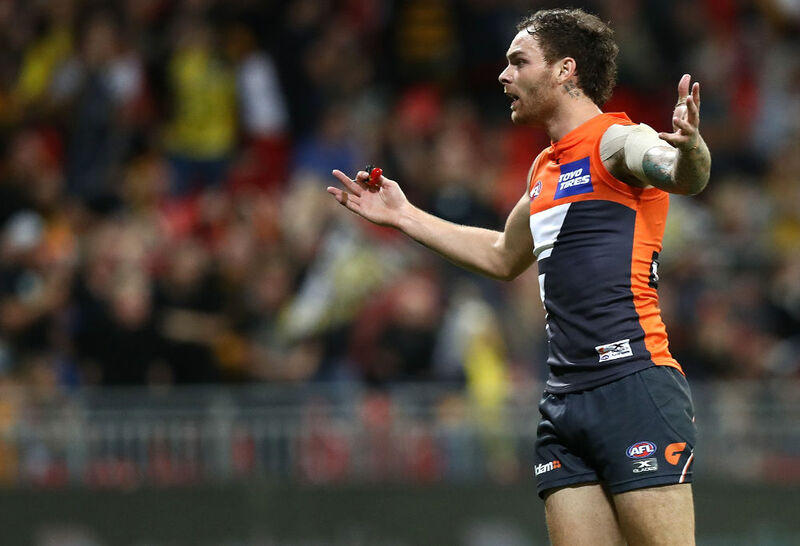 The Gold Coast Suns are a rabble of a club, with their upset win against Sydney papering over plenty of cracks that go well beyond their on-field woes. 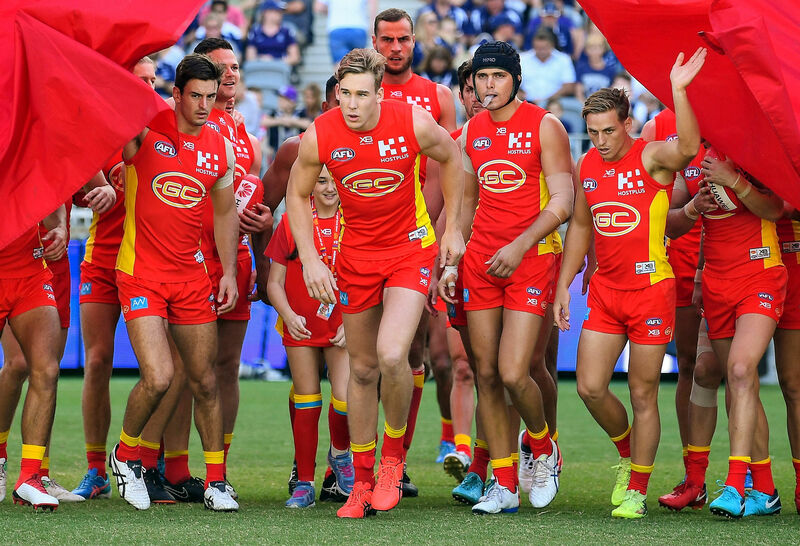 Keeping them afloat is arguably the AFL’s main priority, and why wouldn’t it be – I mean, they are happy to promote the game in China but ignore Tasmania so why not flog the dead horse that is the Gold Coast to the measure of $24.2m in 2017? 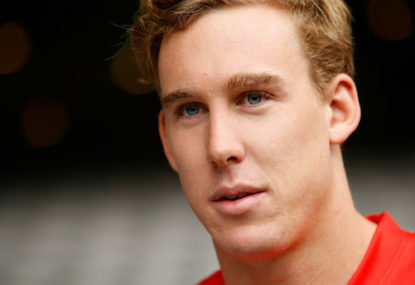 Their former captain, Tom Lynch, has made a move away and will play for a big Victorian club, which is his right as an employee. He could have handled his exit better, like Gary Ablett last season, and unlike Ablett he has yet to prove he is worth the money and attention that is likely coming his way. Ultimately, he is leaving but why should the Gold Coast be compensated for his exit? Their response was to strip him of the captaincy – he could have been more upfront, but their actions are that of an angry toddler. Of course, the answer to why the Suns will likely benefit from his move is largely in the vested interest the league has in the success of the ‘franchise’, but one of the first moves that should be made is to do away with free agency compensation as it is currently in place. The system is based on the player’s base salary, which doesn’t take into account the incentive-based component of a salary. Plus, players are ‘ranked’ based on this base salary. Throw in some points for player age and the AFL has achieved its utopia – a system that is so complicated and convoluted, with so much room for interpretation, that it can model the outcome it desires. Lynch’s departure will likely haul a king’s ransom; but the question for me is why reward the Suns for incompetence? They are a basket case largely of their own doing, and yet they could walk away from this saga in a better position than they were at the moment. That is not right, especially not when the AFL is in full control of their destiny and have a vested interest in them being a viable club. Now let’s move on-field, to an extent. 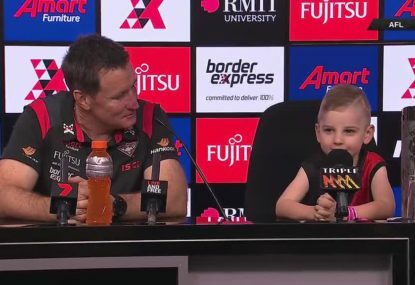 The state of the game gets more discussion from the AFL accredited journalists around the country (which happen to outnumber the players) but it really shouldn’t. 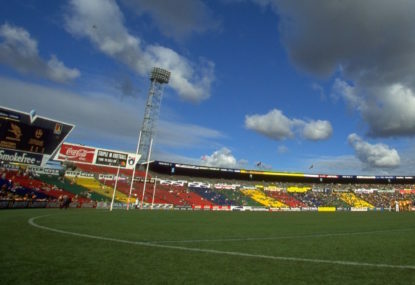 The knock on the game being low-scoring and congested reached fever pitch mid-season, without much basis because newsflash – sometimes bad teams play bad football. If we didn’t know better, one would assume the teams have got together and given the middle finger to the rule-makers because the last 4-6 weeks of football have been superb. Fast, pressurised games and scoring is up! Through 14 rounds there were 61 scores of 100 points or more; in the last six games there have been 33 such games. The games are faster, more entertaining and the best teams have realised you cannot win in 2018 unless you kick goals. The AFL has mastered the art of spin, claiming that the game is in strife and it needs rule changes, or, more specific modifications. They are right in a way, because changes are not needed…but we do not need new rules, rather the abolishment of some recent rules! Possibly the worst rule change ever, and that’s saying something. 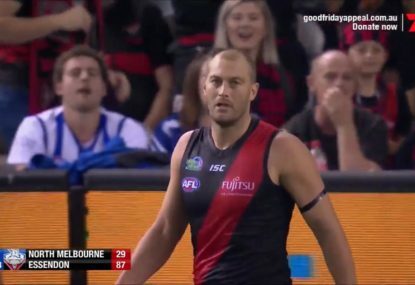 A few teams made the third-man up tactic part of their strategy, contributing towards their goal of winning a game and the AFL decided they need to step in? We can’t have that, so let’s ban it. Now we see grown men standing around putting their hand up like they are seeking permission to ask a question in ,aths class. The Gary Rohan broken leg was a terrible occurrence, but the reactionary rule change has seen the player making the play penalised while the easy option gets rewarded. One incident should never drive legislation. When I said the ruck nominations were the worst rule ever, I may have been wrong. Drive-by spectators dare not infringe a ten-metre area, even if they are having no impact because our umpiring buddies are just waiting to get involved and pay a 50-metre penalty. This is not even worth the 20 words I would normally write; this is a troll move. This is the one rule I could almost cop, but it is likely to cause much standing around and waiting, plus would be nightmare for umpires to legislate. •	Reintroduce the 25-metre penalty – if the umpires want to impact the game, like they do most Friday nights, give them a smaller chip to play with. •	Tighten the holding the ball interpretation – if a player is making the play and gets caught, give him the benefit of the doubt. If a player bites off more than he can chew, penalise him. The fact remains that the game will evolve, it always has! Clubs are getting bigger, and smarter, and players faster and stronger, so let’s leave it to the players and coaches to decide where the game goes, instead of gross over-legislation. The fact remains that the talent pool is as diluted as it ever has been due to expansion, and some teams are just woeful either due to incompetent coaching, bad drafting, poor culture, inadequate development or a combination of all those factors. But a competitive league should never aim to have 18 teams being in contention every season, as to achieve that goal the changes required will always threaten the very fabric of the sport. So back onto League Office. Mr Steve Hocking has been very vocal about his football department being better resourced than the clubs, so it makes sense that they need justify their existence. 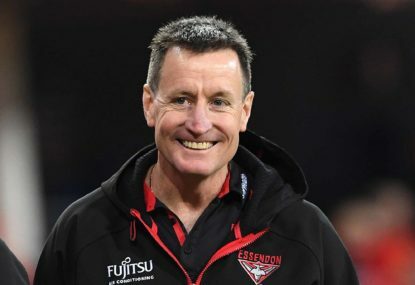 In just eight months, Hocking has increased the numbers in the football department and the AFL is nothing if not stubborn. Their refusal to effectively engage players is clear to see by looking at social media; Patrick Dangerfield may be the only current player to actively support the proposed rule changes, and he is looking beyond footy and is shaping as being a ‘company man’. To a man, the other players have been critical of their employer, quite vocally so, which is telling. The AFL would be better served dedicating the time and resources going into the rule changes, into better goal-line technology. The AFL’s instant replay system is inconsistent, embarrassing and amateurish. Soccer took years to implement goal-line technology because they understood the enormity of such a change and they now get it right, every time. Similarly, the NBA has invested a huge amount into standardising venues and having high-definition cameras in place. It slows the game down but it works. 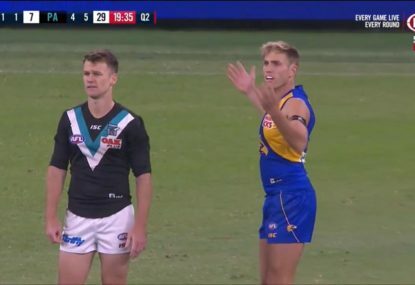 Put simply, the AFL is trying to fix a potentially season-defining error with a half-hearted solution that is an embarrassment both to technology and the game. Sensors in the ball and post, a version of cricket’s hot spot, anything would be better than the debacle currently in place. The AFL are on record as saying they want a quick decision; that tells you all you need to know about their commitment to the right decision. Not one fan would change channel if it took them 90 seconds to get the correct decision, rather than flicking through grainy, off-angle footage for 30 seconds before rushing a decision like a contestant on The Chase. Lastly and probably least, Gillon McLachlan’s recent comments towards the shortening of the AFLW season was concerning. Full disclosure, the league itself is not something I plan to ever watch as I find the concept and skill level a farce, but the absolute minimum that the athletes deserve is for it to be more than a sideshow. Invest money and time and it may become something young girls can aspire to, but guess what – they need to see the standard improve and for their favourite players to take the field more than six times a year! As a passionate footy fan, I will continue to be engrossed week after week, and don’t expect that to change even if the AFL continues to drive its product deeper into despair. You can’t help but think that unless they sit back, and focus their energy where it is better spent, that the game as we know it may be headed towards the abyss. Maybe not today, maybe not tomorrow, but before we know it. The solution is simple – just leave the game alone!